What a fine cup tie this was at Brighton’s superb Amex Stadium, with the home side pushing a second-ish string Arsenal side all the way courtesy of some fine attacking play. Olivier Giroud was the star of the show for the Gunners, continuing his scoring streak with a brace on Saturday, with a goal coming in each half. 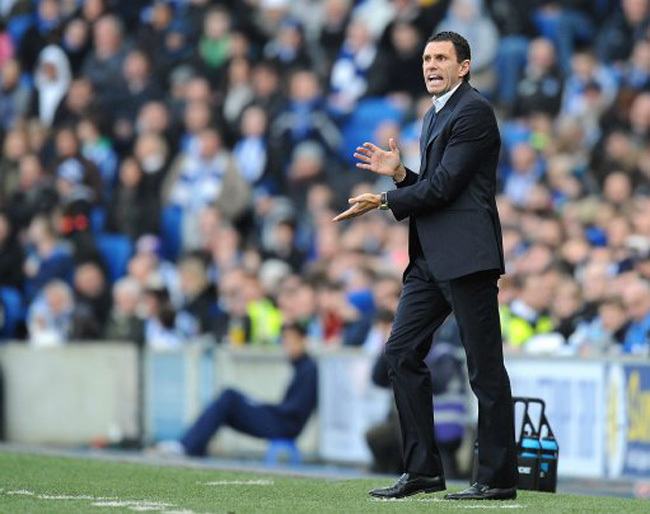 The Frenchman’s first strike, a superb effort on 16 minutes came somewhat against the run of play, as Gus Poyet’s classy side attacked the Gunners from the off. On the half-hour mark, however, the home side were back on level terms, when Ashley Barnes nodded home from a David Lopez centre. That goal and the Seagulls’ second both game from the Gunners left flank, where Brazilian Andre Santos produced yet another dreadful, leaden-footed display. After the break, the Gunners battled hard and were rewarded for their toil when Giroud doubled his tally on 56 minutes. However, once again the Premier League failed to hold onto their lead, with new-signing Leonardo Ulloa grabbing the equaliser after more appalling defensive work from the north Londoners. Eager to dodge the replay, Wenger sent on Theo Walcott, Jack Wilshere and (a bit later) Kieran Gibbs as he went for the win. And with five minutes left to play, the Frenchman’s decision reaped rewards, when Walcott volleyed home from the edge of the box to secure all three points (with the help of a deflection). Poyet will no doubt be disappointed by the result but pleased by side’s performance while Wenger will be happy with his side’s attacking play but disappointed (yet again) but their dismal defending. You’d have expected The Gunners to thrash a lower league team like Brighton And Hove Albion, but fair play to them, they put on a great performance against their Premier League counter-parts! THEO DID NOT SAVE US!! !